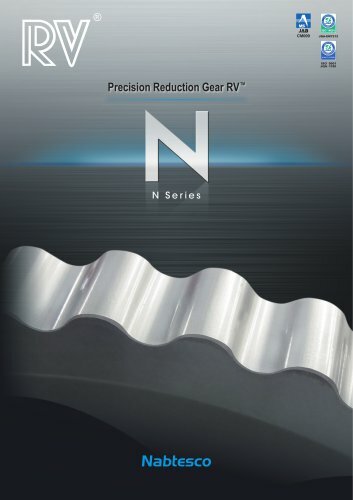 RVTM precision reduction gears, already top sellers in the robotics industry, now evolved even further!! Compact N Series gears 60% share of the global market for industrial (verticaldeliver great potential!! articulated) robot joints * Based on Nabtesco studies Based on our RV precision reduction gears which achieve 5 million units already shipped, the new RV N have been made even more compact and lightweight. Specications and dimensions are subject to change without notice. Specications and dimensions are subject to change without notice. *Contact us for more information on this model.